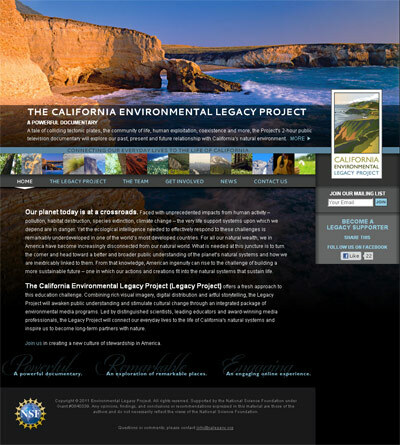 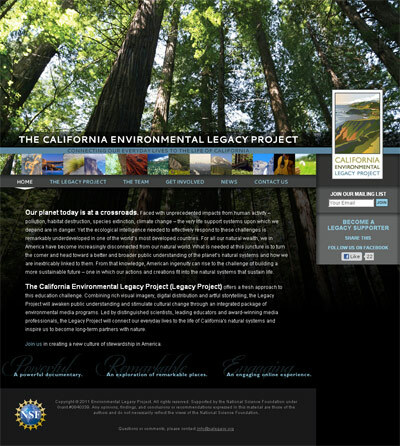 The National Science Foundation-funded California Environmental Legacy Project connects humans with their natural heritage through education, research, media resources, and a complex online portal. 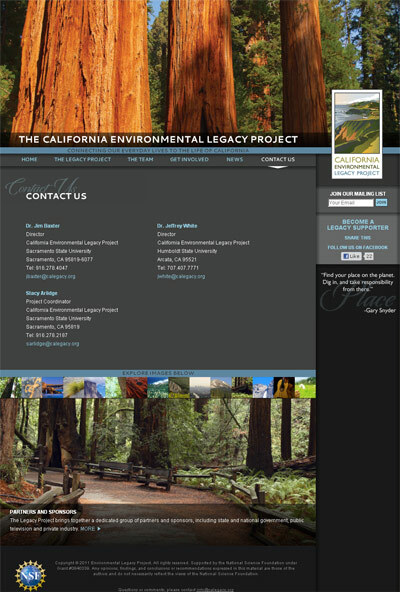 Zumwinkle.com designed a site that reflects the beauty and complexity of the natural world, and developed with an eye toward future integration within Drupal 7 CMS in near future. 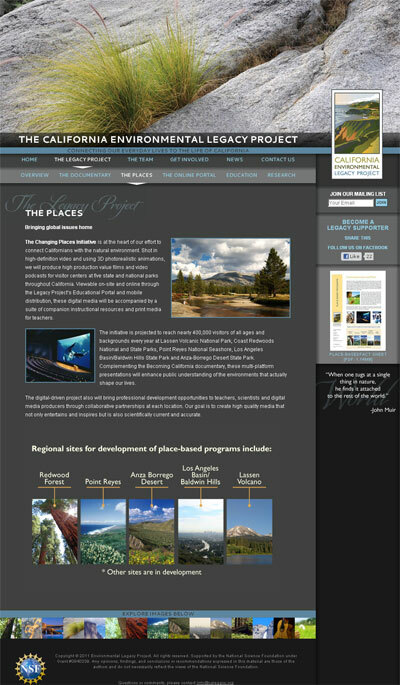 The site includes custom navigation panels outlining the project’s extensive features.